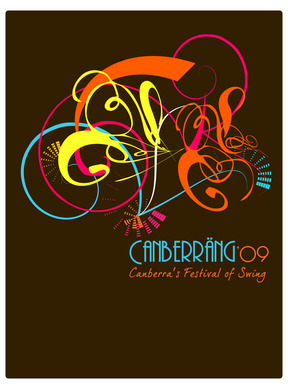 This weekend sees swing dancers from around Australia and the world converge on Canberra for Canberräng 2009 – Canberra’s festival of swing. Canberräng ’09 – “Spy vs Spy” events will be hosted at a swag of local venues, starting at Tilley’s tonight (Thursday) and finishing up at the Old Canberra Inn on Sunday evening. This weekend is not only created for swing dancers, but Jazz and Blues aficionados will also be delighted by the live music from some of Canberra’s best big bands, small group swing and blues bands and interstate musicians! On Friday the 7th August the Yarralumla Woolshed will be transformed into a swinging cocktail party, featuring Melbourne’s renowned Michael McQuaid fronting the Canberräng All-Stars, and swing dancing performances. Tickets are $30 at the door, and doors open at 7:30pm. Inspired by the swing band battles of the famous Savoy Ballroom in Harlem, New York, on Saturday August 8th the Albert Hall will host Blamey Street Big Band and Spectrum Big Band as they battle it out for the hearts, minds and feet of the dancers. Tickets are $40 at the door, and doors open at 8pm. Both of these evenings will include a bar service provided by the Rotary Club of Canberra Burley Griffin. All profits from the bar will go towards their nominated charity for the evening. Canberräng 2009 is presented by Jumptown! ACT Swing Dance Society Inc.
For more information and a complete list of all the events, see www.canberrang.org, email us at canberrang@canberrang.org or call on 0412 127 168.